Description : Tomato rice with cashew nuts, the flavour of both brings out the exotic taste and delicious feel. Serve the Tomato rice moist with the reserved toasted cashew nuts and a sprinkling of fresh coriander leaves accompanied with soothing raitha. In a frying pan , pour the oil and heat it. Add mustard, wait until it crackles. Then add dry red chillies, channa dal, urad dal. 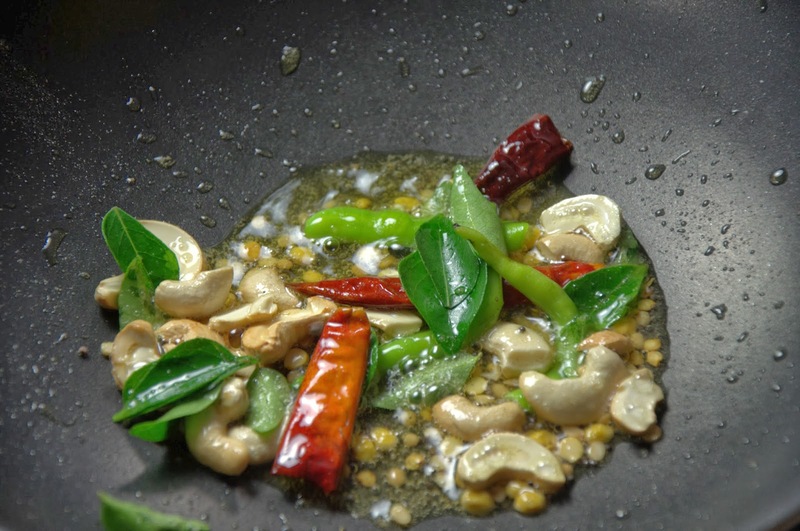 now add curry leaves, green chilli, cashew nuts and cook for some time. Now add chopped tomato, salt, chili powder and turmeric ,tomato, tomato puree and cook it. 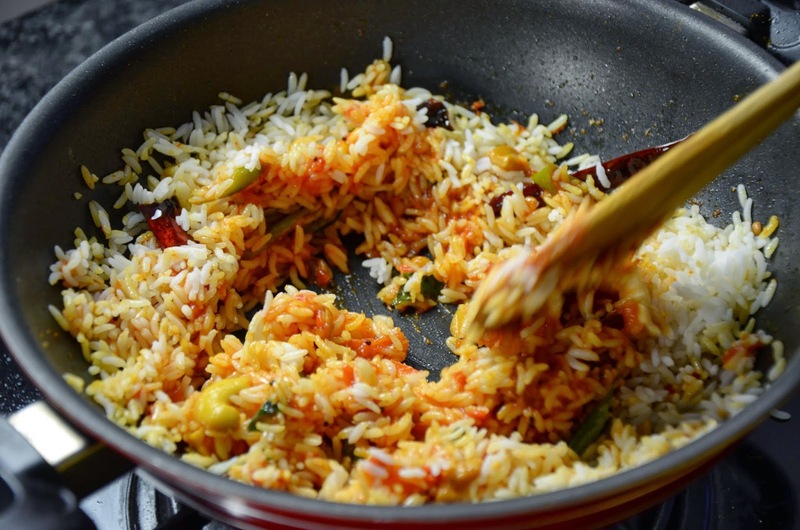 After tomatoes are cooked for 3 to 4 minutes, add cooked rice to it and stir. 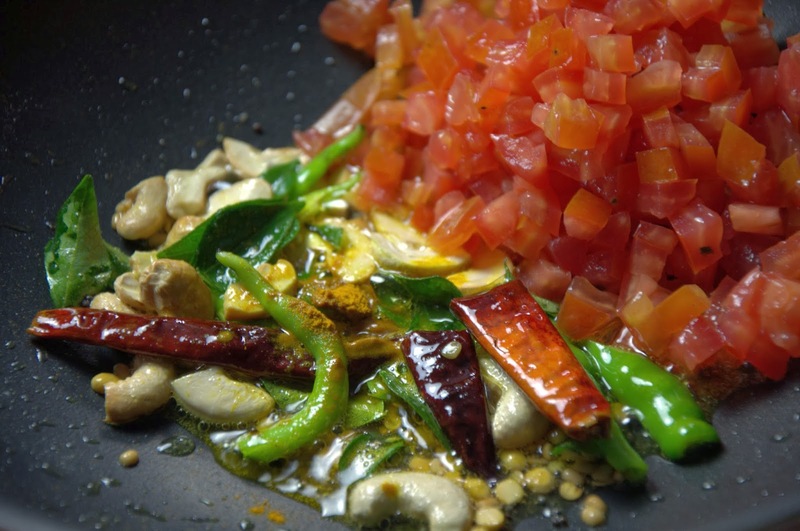 Garnish with chopped tomato, onion and more coriander leaves. 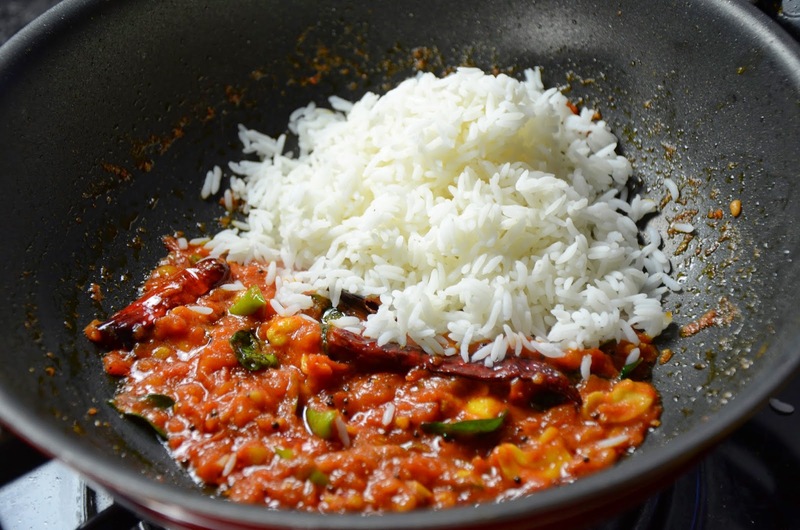 Tomato Rice can be served with coconut chutney or pickle or pudina chutney or Potato chips and soothing raitha. 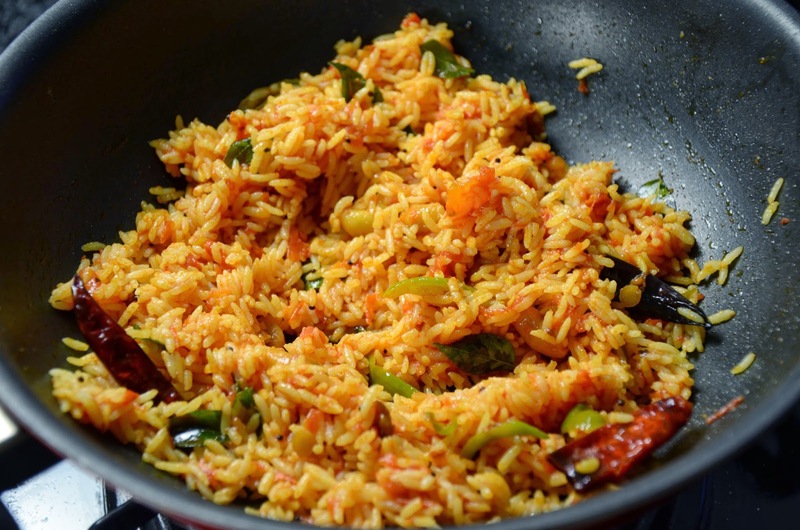 I am shoba from Bangalore.I tried this "Tomato cashew nut rice" which came out really nice.My son loved it.Perfect for kids lunch box.I like all ur recipes which is quite interesting. Will stay in touch with you.